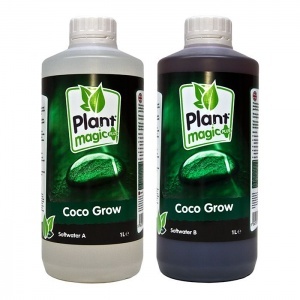 While still fairly new to the market, Plant Magic Coco is fast establishing a reputation as one of the best due to its great results and stable pH buffering. 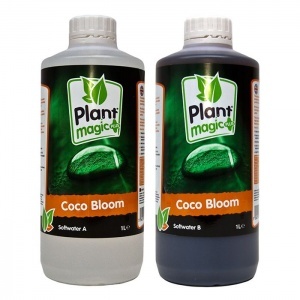 Manufactured in the UK, the coco range is a two-part nutrient consisting of Grow A & B and Bloom A & B and is available in hard and soft water formulations. This nutrient consists of high quality mineral salts and trace elements, and also contains humates to aid root development, nutrient uptake and microbial activity in the root zone.